A newly acquired snake should have its feces and/or vomit examined for bacteria, protozoa, and worms. Signs of a bacterial infection or endoparasites are listlessness, failure to eat over several weeks, or regurgitation of meals. Left untreated, infestations can not only kill your snake, but can even be transmitted to humans. Collect the feces or vomit in a clean plastic bag, and seal it. Label it with your name, phone number, date, and your snake's name. It is best to have these tests done by an experienced reptile vet. Snakes cannot digest food if they are dehydrated. If the skin around the neck is wrinkled and forms puckers, it is severely dehydrated. You must then see a vet immediately. Early treatment is the best way to avoid serious and expensive problems later on. Ectoparasites such as ticks and mites can also be fatal. Mild infestations may be dealt with yourself, but if the snake becomes dehydrated or the infestation is severe you should see a vet. Removing a tick with tweezers can be dangerous because if the head stays embedded in the snake's skin, infection almost always occurs. The safest way of removing a tick from your snake's skin is to cover the tick's body with petroleum jelly, especially the head. The tick will be suffocated until it is forced to let go. When it does release, remove and destroy it. Note: Since ticks can carry Lyme disease is safer not to come into direct contact with their fluids (don't smash it between your fingers). 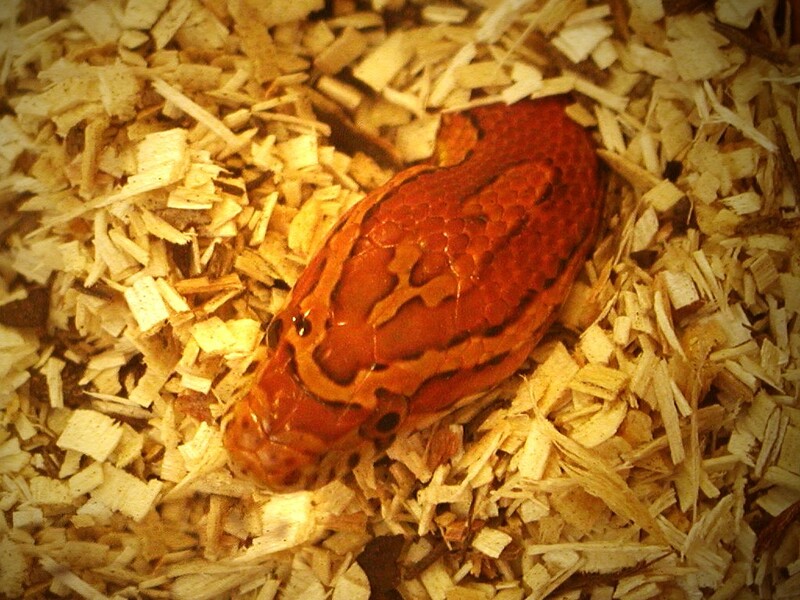 A corn snake pokes its head out to take a look around. Image Source: Photo taken by Corn Snake Pictures & Facts at the San Bernardino County Museum, with permission. Snake identification should be felt to a qualified herpetologist. Please use cation and consideration around all snakes. 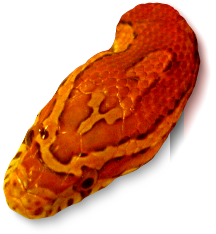 If you decide to get a corn snake, as with any other animal that is dependent on you, you are responsible for not only for its food and housing, but also for researching your pet's needs thoroughly. No information presented here is meant to be comprehensive on the subject of care. And no information given to you by pet store personnel should be solely relied upon. Stories of wrong information being given to new pet owners by pet store personnel, are all too common. Be sure to buy a book or find some other reliable comprehensive resource to inform you on your new pet's care. Your snake will thank you for it.